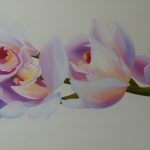 In my floral art I seek to express the beauty of nature by layering to create a depth of colour and by exaggerating the curves and folds of the flowers so that the viewer is asked to remember the feeling of seeing an exquisite bloom, a beautiful branch or an exotic spray of flowers they have once been given or have seen somewhere special. 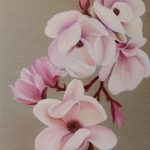 Clare’s floral artwork is inspired by her love of nature and the beautiful flowers in her extensive garden. 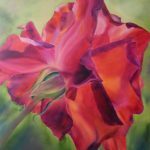 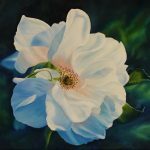 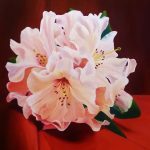 She loves the challenge of portraying their beauty with the soft blending of oils, portraying the curves and folds of the petals and the ever-changing colours when the light hits the petals. 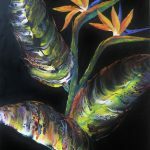 She would like the viewer to see the beauty to be found all around us and absorb the peace and energy to be found in nature. 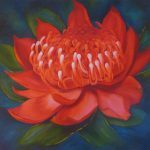 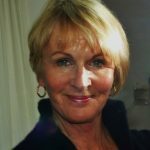 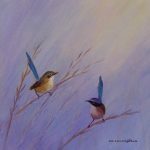 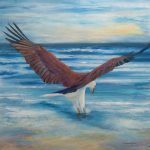 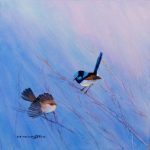 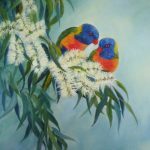 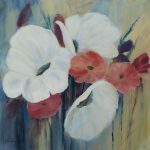 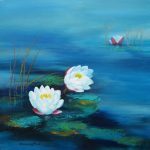 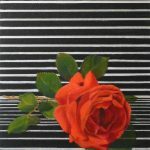 Clare has been painting for over 20 years and has been exhibiting in both Australia and New Zealand. 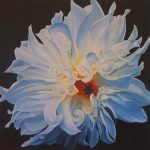 Her art is in the hands of many international collectors. 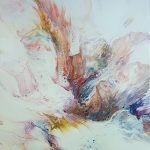 She has had numerous group exhibitions and solo exhibitions and has recently had another solo exhibition in August. 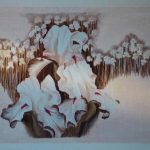 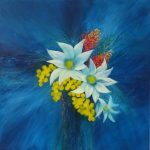 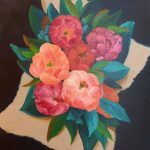 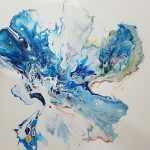 Her floral work is only a part of her eclectic style which includes abstract and expressionist landscapes inspired by her beach surrounds and her travels in the Outback. 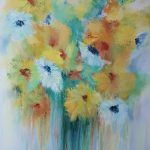 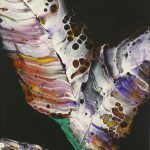 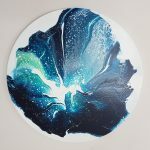 She has recently been combining her abstract elements with her floral artwork.